When you hear the words Star Wars come out of someones mouth, what are some of the characters that immediately come to mind? Luke Skywalker? Princess Leia? Han Solo? Darth Vader? Obi-Wan Kenobi? You get the idea. Why He’s Significant: Arguably one of the greatest supporting characters in the Star Wars universe, Wedge Antilles played a key role in the Rebel Alliance victory over the Empire. Wedge has taken part in all three of the major battles of the original trilogy: The Death Star Trench Run, the Battle of Hoth, and the Battle over Endor. He was one of Luke Skywalkers wing mates for every mission and saved Luke a few times in battle. He was also the first pilot to successfully trip an AT-AT walker at the Battle of Hoth. For those who’ve read the Rogue Squadron X-Wing books from the 90s know that Wedge was a big part of their success. Unfortunately those stories now aren’t considered canon but that doesn’t mean they’re not worth a read. Wedge has also been in a few Star Wars video games including all of the Rogue Squadron games from the Nintendo 64 to the Nintendo Gamecube. This man doesn’t get the credit he deserves. As we learn from the film, the two eventually meet up on Yavin 4 shortly before the run at the Death Star. Unfortunately for Biggs, he doesn’t’ make it out alive and is killed by Darth Vader while attempting to protect Luke Skywalker in the trench. Luke’s childhood friend from Tatooine is gone but he certainly didn’t die in vain. Why He’s Significant: #GeneralGrievous a Kaleesh was labeled a Supreme Commander of the Droid Army and is one of those characters who has a decent amount of screen time in Revenge of the Sith yet we don’t learn enough about him. Constructed as a Cyborg to survive, Grievous isn’t a Sith but knows how to wield a lightsaber. In fact the coolest thing about Grievous is that he can wield up to four lightsabers at one time given the four arms that he can have. We do learn that Grievous has killed many Jedi over the years and keeps their lightsabers as a remembrance while also learning how to use them. Grievous was recruited by Count Dooku and trained under his tutelage in lightsaber combat. His lightsaber duel against #ObiWanKenobi is impressive; most impressive. Grievous however does meet his demise after a long-fought battle on Utapau. With limited screen time, Grievous deservedly earns his spot on the list. Why He’s Significant: Talk about very limited screen-time, Green Leader (Arvel Crynyd) is perhaps one of the most underappreciated characters in Star Wars lore. Green Leader may not be one of the ones that come to mind but he actually played a very large role in Return of the Jedi. 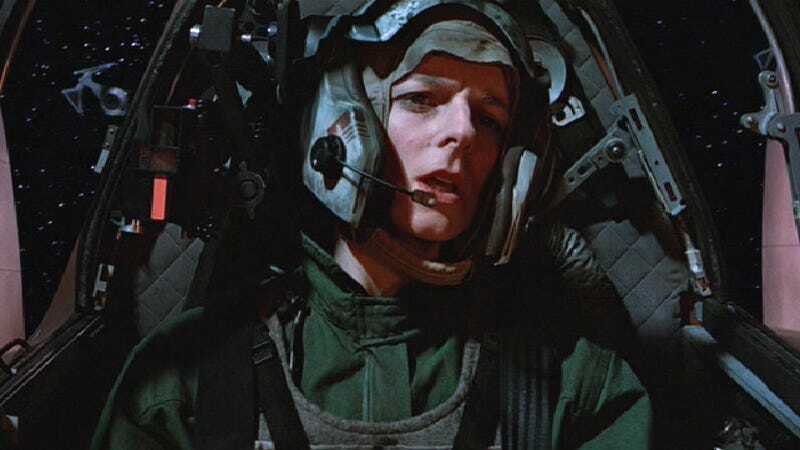 Like many others of the Rebel Alliance, Green Leader fought bravely against the second Death Star taking out as many TIE-fighters and ships as possible. However, what Green Leader is most notable for was that he was the one to ultimately take down the Super Star Destroyer. This massive ship proved a major threat against the Alliance. Though Admiral Ackbar ordered all firepower to be aimed at this Super Star Destroyer, it wasn’t until Green Leader swooped in to save the day. Knowing that their shields were down, Green Leader kamikazes his A-Wing directly into the control room of the massive Star Destroyer thus bringing it down for good. Not only did this help ensure that victory was imminent, but he also saved the lives of other ships who would have been killed by this Star Destroyer. His sacrifice was well worth it. Why They’re Significant: Yes, the mighty Ewoks have to make this list. I know there are those people out there that are always complaining that the Empire lost against a bunch of teddy bears. Now to extent this might be true, but it seems that fans are being blindsided as to what this civilization is capable of. Sure the Ewoks are cute and all, but they don’t get the credit they deserve. There is no doubt in my mind that if it weren’t for these creatures on Endor, Han and the Rebels would have been defeated and the Rebel Alliance would have been done for good. The Ewoks are shown to be very smart and savage creatures. Remember, they were originally supposed to roast Luke and Han over a fire and eat them! Thankfully Princess Leia was there to save the day. The Ewoks are also not afraid to fight back as seen in the film. They find ways to take down the AT-ST walkers while also ambushing Stormtroopers. It’s a truly a fight against the technologically advanced world against the natural world. The Empire of course represents the advanced one whereas the Ewoks are a part of nature. They are clearly the underdogs which makes the fight more epic. The Ewoks may not be beloved by everyone, but you can’t deny their significance over the Empire. Why He’s Significant: This is yet another character who doesn’t get the credit he deserves. Played brilliantly by Jimmy Smits, Organa had the tall task of being a representative of the Republic Senate as well as one of the members of Alderaan’s royal family. He also worked closely alongside Senator Padmé Amidala. While not targeted directly, Organa survived the purge that was taking place on Coruscant and was barely able to escape from all of the destruction. After a short meeting with both Yoda and Obi-Wan, Organa decided to watch over the girl since both he and his wife Breha always wanted a baby girl. That girl would of course be named Leia. Organa also had a small cameo role in the latest and first Star wars spin-off film Rogue One. Though his role was minor, it was extremely satisfying to see this man still fighting strong against the Empire. As fans of the films we’ve known Organa’s fate for a long long time but I felt that the reassurance was necessary. The scene where he tells Mon Mothma that he was returning to his home planet of Alderaan to warn his people sealed his fate. He also mentions that he knew of a Jedi who “served him well in the Clone Wars.” Shortly after that, he speaks to Captain Antilles and informs him of an important mission. Sadly, after the conclusion of Rogue One Organa doesn’t have much longer to live. At least we know he died as a hero of the Rebellion. Why He’s Significant: If there’s anyone who’s even remotely interested in reading any one of the canon novels out there, Star Wars: Catalyst is the book. It’s my personal favorite canon novel released so far and written by one of the greatest authors out there; James Luceno. The book tells the story of the career of Galen Erso as he learns how to construct Kyber Crystals and begins to understand their potential for energy usage. However, what Galen failed to realize was that he was being used by one of his own colleagues; Orson Krennic. Krennic knew the man was an experimental physicist and used that to his advantage. Krennic constantly told Galen that what he was doing was for the good of mankind but deep down it was mostly to construct a weapon of mass destruction. Galen eventually learned of this plot and found a way to create a weakness in the center of the Death Star. He was also able to send a message given to a pilot named Bodhi Rook who defected from the Empire. Bodhi took the message and delivered it to Saw Gerrera who in turn showed Galen’s daughter Jyn the plans to the Death Star. Without Galen’s bravery to finish the project and plant a weakness, the Rebels would not have won the battle. Galen was fooled by one of his best friends but found a way to do the right thing and stop the enemy short of victory. Do you agree with my list? What characters do you feel are heavily underrated. Please share your thoughts in the comment section below!